Where did the name “Laughing Squid” come from? Ah yes, that is the number one question we get from people. Every single interview I do starts with that question. In 1995 I was working on my first documentary Alonso G. Smith, A Half Century of Social Surrealism, which was about the San Francisco Bay Area surrealist Alonso G. Smith. I wanted to create a film production company to release and distribute the documentary and this company needed a name. I didn’t want to go with obvious choices that included my name or even a reference to film and video. I needed something unique. Something that people would remember. While flying back to San Francisco on a cross-country flight in the Fall of 1995 I made it my goal to come up with a name before the plane landed. By the end of the flight Laughing Squid ended up at the top of the list. When I founded the company in November 1995, the full name was originally Laughing Squid Productions, but the “Productions” was later dropped to simplify things. So why squid? Well, I had been fascinated squid for a long time. When I first met my friend David Klass during our junior year of high school, I came across the 1973 Jaques Cousteau book Octopus and Squid: The Soft Intelligence in his bedroom. From that point on squid was a recurring theme with us. A friend’s band had a demo recording that I named “March of the Blue Squid” and later on when I started going online, my first username was squidink and so on. 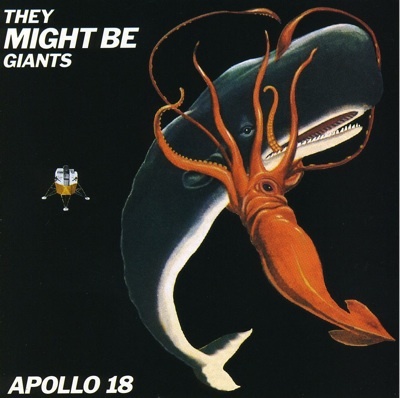 And then in 1992, just a few years before I started the company, one of my favorite bands They Might Be Giants came out with their album Apollo 18 which featured an illustration of a giant squid battling a sperm whale as the album art, yet one more thing influencing the choice of squid in the name. The idea of squid worked well as part of the name since the multiple tentacles would be a metaphor for all of the various things I wanted to do with the company. From the very beginning I knew we would be involved in way more areas than just film and video production, which was the case as we expanded into local art promotion with the launch of The Squid List, then web design, which led to web hosting and then finally the blog which you are now reading. And having the squid laugh was an absurd concept. There has always been some kind of humor element involved with things I’ve been involved with. Even the Alonso Smith documentary was about a satirical surrealist who used humor throughout his work. 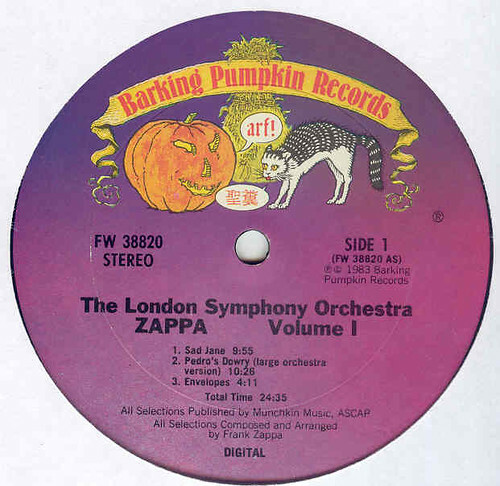 A final factor was that I always loved the name Barking Pumpkin Records, which was the record label started by Frank Zappa. He was a big influence, so in a way, Laughing Squid is also tribute to his inspiration through creativity and humor. So there you have it, that’s basically how the name “Laughing Squid” came into existence.